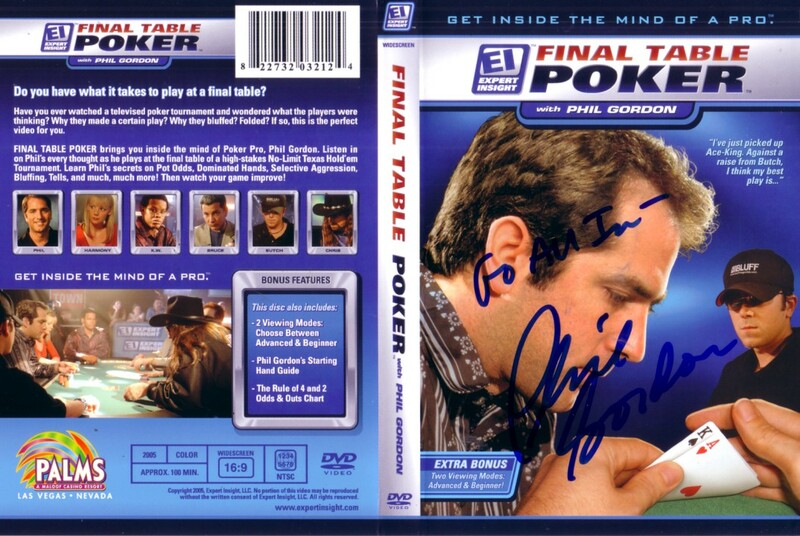 Final Table Poker DVD insert autographed and inscribed Go All In by Phil Gordon. DVD NOT INCLUDED. ONLY ONE AVAILABLE FOR SALE. Obtained in person at celebrity golf tournament. With certificate of authenticity from AutographsForSale.com.